With the release of Destiny 2, Bungie have changed the way that our favourite vendor Xur behaves, and most importantly the currency he now accepts. Players must focus their attention on earning Legendary Shards rather than Strange Coins if they want to appease Xur in exchange for some of his well known exotics. Fans of Destiny 1 will know that Strange Coins were the games most lucrative currency, way beyond Glimmer. In fact, at the launch of Destiny 1, Strange Coins were in short supply, seriously short supply. Very few players managed to scrape together enough coins to make a purchase on the first day that Xur appeared. It was also during the initial weeks that the games most famous exotic weapon, Gjallarhorn, was for sale. As time went by, players would hoard vast collections of Strange Coins in the hope of being the first to buy Xur's Friday offering, particularly notable during the first week of new DLC content. Later in the evolution of Destiny, Bungie also introduced us to Three of Coin, a buff to increase the chance of earning Exotic Engrams from high level bosses. We all remember how that exploit turned out! So here we are, Destiny 2 wipes all memory of Strange Coins and replaces the games best currency with Legendary Shards instead. Rather than a high value, low supply currency, Bungie have decided to provide us with lots of Legendary Shards whilst also reducing the cost of Xur's inventory. As you can see from the list above, you'll earn some shards from common activities such as patrol activities and even some story missions. However, when these have dried up, your most effective source of Legendary Shards will be dismantling high level gear. Upon reaching max level is the ideal time to start this process; weapons and armour are more likely to drop at Legendary tier at this stage. Gather up as many Legendary items as your vault of hold, then filter through the ones to keep and those which can be sacrificed. 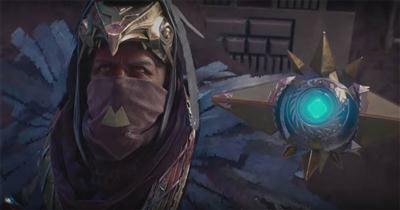 Dismantle each of the unwanted items in return for Legendary Shards. The only rule you must follow is that ONLY Legendary (purple) or Exotic (yellow) gear will dismantle for shards, other tiers such as Common (white) and Rare (blue) will not. Each Legendary item you dismantle will give you 2 x shards, and each Exotic gives x 10 shards. Whilst continuing this process, make the most of the weekly reset on Tuesdays. Attempting each and every weekly activity for even more Legendary Shards, without skipping a week if possible. Xur no longer uses the familiar Tower or Reef social spaces for his trading opportunities, preferring instead to travel between each of the planets of the European Dead Zone, Nessus, IO etc. His appearance is random, but always at one of the fixed locations on each of the planets. As before, he appears on Friday morning (UK time, 2am ish US timezone) for a limited duration. Historically, the best way to find Xur was of course to follow the crowd, but with Destiny 2 Bungie have decided to plant a map marker for the exotic vendor himself. It takes all but a second to spot where Xur is on the planetary map. Xur's stock changes on a weekly basis but let's take a quick look at his week one inventory as a guideline of what to expect in the future. As you can see, exotics are cheap to buy but the Power Level is only moderate. 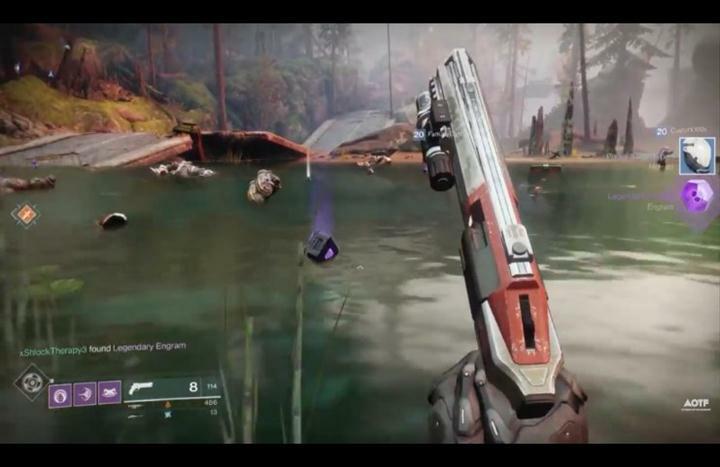 Players will therefore enjoy gaining exotics that the RnG gods have not be gracious enough to grant, but will NOT be able to cheat the Power Level system in the process. Also, Xur does NOT sell exotic engrams for the chance to earn random exotics as was the case in Destiny 1.